We have a roster of great DJs and MCs for any event in Southern California. We travel from LA to San Diego, Santa Barbara to Palm Springs. Our DJ services provide a wide variety of any, all songs and music requests are welcome. Whether you’re looking for a Wedding DJ, corporate DJ, holiday party DJ, company party DJ, kid’s party DJ, birthday party DJ, or, anniversary DJ, we’d be happy to help! We cover all of Southern California with Los Angeles DJs, San Diego DJs, Orange County DJs, Santa Barbara DJs, Palm Springs DJs and any cities in between. Check out more information below! Jon S.comes to us originally from Boston. Jon’s number one passion is music. He has been writing, performing, and mixing music since 1988, and feels fortunate to have been able to turn his love for music into a career. As a DJ, Jon has a vast knowledge of countless songs -25,000 plus song list, styles, and genres, prompting his friends to nickname him -the human jukebox. At your next event, try to stump Jon with a music request- chances are he will know it. Jon has a great time as a DJ and it shows. Jon is very personable and great with people. 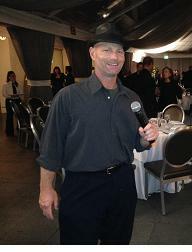 He is very experienced and extremely comfortable to Emcee your whole event-wedding-party. He also has a sound system for any other needs. Jon is an accomplished guitar player and can play cocktail music specializes in Jazz-Blues and Folk with a touch of little Bossa Nova live before going into the DJ mode if requested. Our DJ/Karaoke artist nicknamed T is an experienced and multi-talented performer with an infectious love for music. 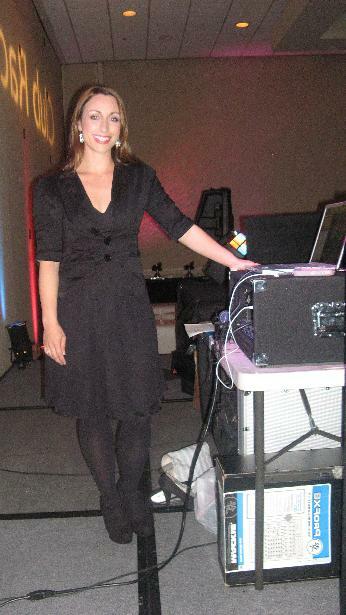 As a singer, karaoke DJ-MC, entertainer, and host, T is the perfect addition to any event with her vibrant personality and professionalism, from parties to weddings to bar-bat mitzvahs-teen events, and many more. No gathering is too formal or informal. With a professional sound system, dance-atmosphere lighting and a library of over 20,000 plus songs, your karaoke party will be the talk of the town. T will bring the fun and do all the work so that you and your guests can sing and dance the night away. She has also done character work and hosted children’s parties for a kids party company in New York City. She has a theater degree and has worked in comedy. She is also a great singer who can get your karaoke party started and bring guests out of their shells if need be. With approximately 30,000 songs to choose from, his catalog of music on mini discs, CDs contains all major music categories including: R & B, Disco, Funk, Soul, Swing, Latin, Motown, Pop, Jazz, Reggae, Rock, Club, Cocktail, and Country. Other requests available. Special song editing and mixing is available for Wedding Ceremonies and Grand Entrance Themes. Other services include Sound Effects -Laser, Wall and Up Lighting, Karaoke style vocal elimination. 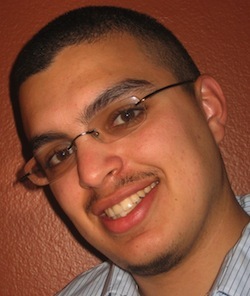 DJ Gabe is a trained musician and singer with a bachelor’s degree in ethnomusicology from UCLA. He is well versed in most all genres of music and has absolutely no problem getting the party started by playing great music and keeping the dance floor crowded. 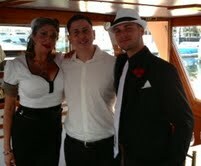 He has MC’d just about every type of party or event imaginable with enthusiasm and professionalism. He has experience with party goers of all ages and goes out of his way to make sure everyone is having a good time. He has a huge song list and also can provide dance and atmosphere lighting. Gabe can also provide karaoke for your party or event as he has full equipment, a monitor, mic and karaoke books, lyrics and tracks. DJ Ben knows how to “get the party started. With over 14 years of experience in the mobile DJ business he has provided DJ-MC services for hundreds of events. He takes pride in making every event a hit, and creating a memorable and joyful experience. His ability to mix all genres of music smoothly, and read the crowd to make sure everyone is having a good time on the dance floor is what sets him apart from other DJs. His MC skills help him keep the event running smoothly by making all the proper announcements at the right time. Being a tech geek with a love for music videos, he has compiled a library of over 8,000 HD music videos ranging from the 60s up the the current hits of 2013. So if you want to hear and see the music of your favorite genres including disco,funk,80s,90s,top-40,pop, EDM and more ask about the VideoDJ package. Music library of over 30,000 songs in all genres including Top 40s, 50s 60s 70s 80s, disco, funk,motown,rock,classical,old school,electronic,hip-hop,salsa,spanish,freestyle,new wave, and jazz. Kevin has been providing DJ services in the Los Angeles area for over 20 years plus, with a focus on weddings, corporate events, festivals, concerts and private parties.In addition to Kevins experience from many events over the years, Kevin also can provide Full Sound-PA, Lighting – Staging for any festivals, concerts or shows. Kevin also does a great job as MC for your event, handling all the introduction and announcement duties and running the event schedule. He has an extensive music catalog with over 15,000-20,000 plus songs that spans from the 20’s to current hits, along with a selection of Latin dance formats. Big Band, 50s, 60s, Motown, 70s, Disco, 80s, Flashbacks, 90s, Jazz, Country, Current Hits, Top 40, House, Techno, HipHop, Latin, Salsa, Merengue, Cumbia, Reggaeton to name main categories.Kevin uses all professional grade sound equipment and lighting systems with on-site backup equipment to ensure your event will continue uninterrupted. He prides himself on being positive, easy to work with, flexible, personable and focused on you and your guests’ satisfaction and enjoyment. We know you will be very pleased and have a great time with Kevin as your DJ-MC. AC-DC , Aerosmith , Eagles , Steve Miller , Rolling Stones , Queen , Etc. Beatles , James Taylor ,Elton John , Jim Croce , Carly Simon , Etc. Linkin Park , Creed , Yellowcard , Lenny Kravitz , Sum 41 , Coldplay , Etc. Tim McGraw , Kenny Chesney , Toby Keith , Gretchen Wilson , Patsy Cline , Faith Hill , Shania Twain , Hank Williams , Johnny Cash, Alan Jackson , Garth Brooks , Brooks & Dunn , The Judds , Steve Holy , Alabama , Willie Nelson , Etc. Red Hot Chilli Peppers , No Doubt, Green Day , Smash Mouth , Offspring , Etc. Usher , Marvin Gaye , Beyonce , Al Green , R Kelly , Alicia Keys , Etc. Jay-Z , Kanye West, Drake , Tyga , Lil Wayne , Tupac , Pitbull ,Snoop Dogg, Nicki Minaj , Wiz Khalifa, Big Sean , Ying Yang Twins , E-40 , Etc. Gap Band , Commodores , George Clinton , Zapp – Roger , Etc. Temptations , Smokey Robinson , Jr. Walker , The Supremes , Otis Redding , Etc. From Michael Jackson to The Romantics to New Order, Etc. Frank Sinatra – Dean Martin , Tony Bennet , Neil Diamond , Etc. Elvis, Beach Boys, Beatles, Jerry Lee Lewis, Carl Perkins, Buddy Holly, Etc. Bob Marley , UB 40 , Alpha Blondy , Wailing Souls , Jimmy Cliff , Etc. Michael W. Smith , Jars Of Clay , Susan Aashton , Amy Grant , Etc. Specializing in weddings, corporate events and special occasions. Music for all age groups. Classy and Conservative or Lively and Fun… Jim can handle it all. 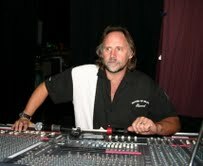 Jim has performed at most hotels and banquet facilities in Southern California. We can put together a combo DJ + live band that plays Sinatra and Michael Buble’ to Motown, Classic Rock, Disco, Jazz, Swing, Blues, Country, Cocktail music, Dinner music, Dancing music. Formal attire. All players are top musicians from Television, Film and Recording Artist. From beautiful ceremonies, cocktail hours, weddings, wine tastings to corporate events. They will keep your crowd happy, take song requests and emcee your special event. Band + DJ options available. Karaoke option plus Video DJ option. Jim can also add live piano or guitar for ceremony or cocktail hour. Todd Elliot (pictured above) will help you along the way leading up to your event or wedding with pre-coordination including song requests, questions and your timeline. He also can be onsite for day of coordination and interact with guests as he is very outgoing and personable with all of your guests and extremely professional. His MC experience makes the whole evening flow and full of fun. He can also personally provide strolling magic and dance interaction, motivation, instruction and performance with a partner upon request. 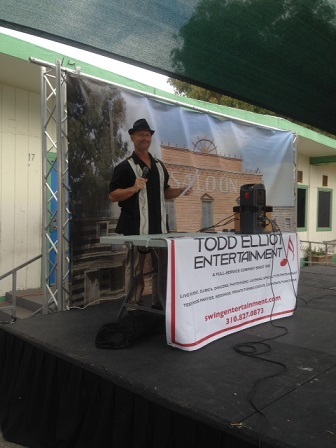 Todd follows the timeline with all the announcements and introductions for Weddings and Corporate Functions while also being able to interact with kids and teens at those type of events at their level to enhance the party.